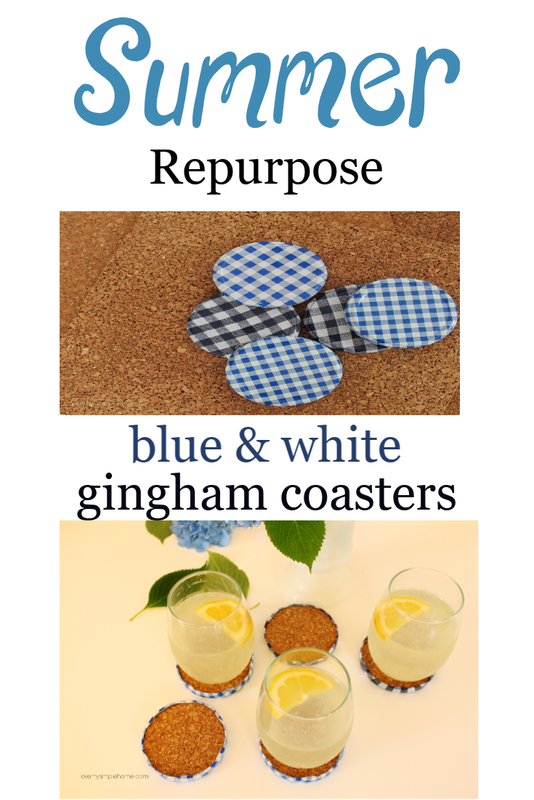 Bring on the checks with this simple repurpose and make your summer entertaining easy with these blue and white gingham coasters. This two-tone check pattern is classic and never really goes out of style, for me, it speaks summer, particularly the blue and white. 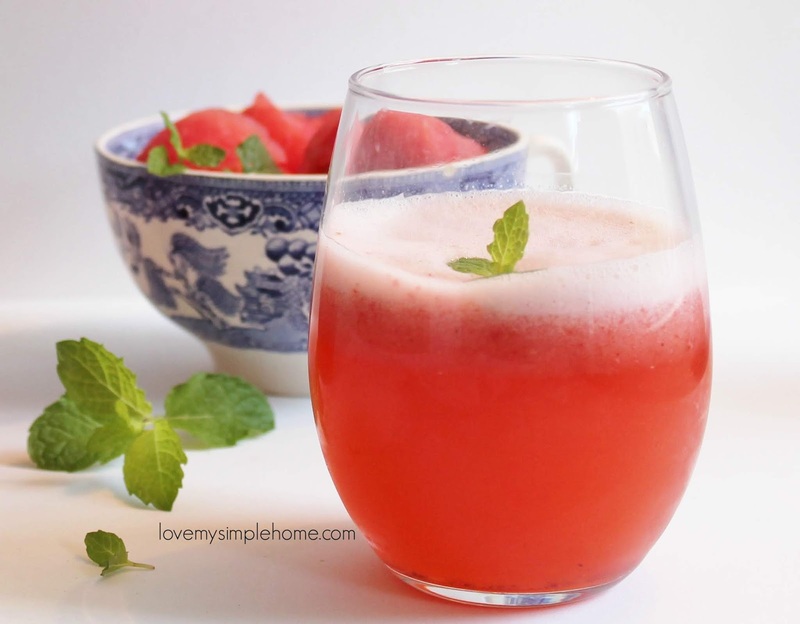 You can make these classic cuties in about 15 minutes and enjoy them all summer long. 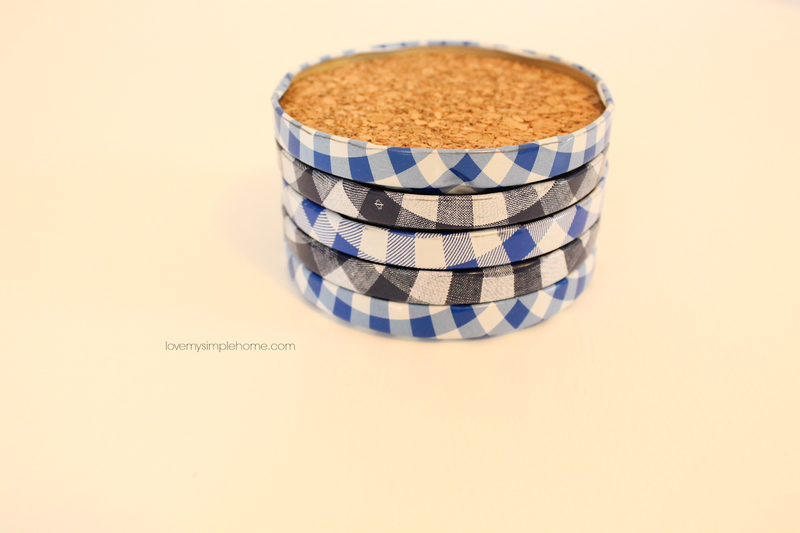 The coasters are simply made with jelly jar lids and handmade cork inserts. Are you ready to get started? Follow the 3 easy steps below to make your own. Place the lid on top of the cork tile then use your pencil to trace around the lid. Using your scissors cut around the circle. Trim the cork to fit inside the lid. 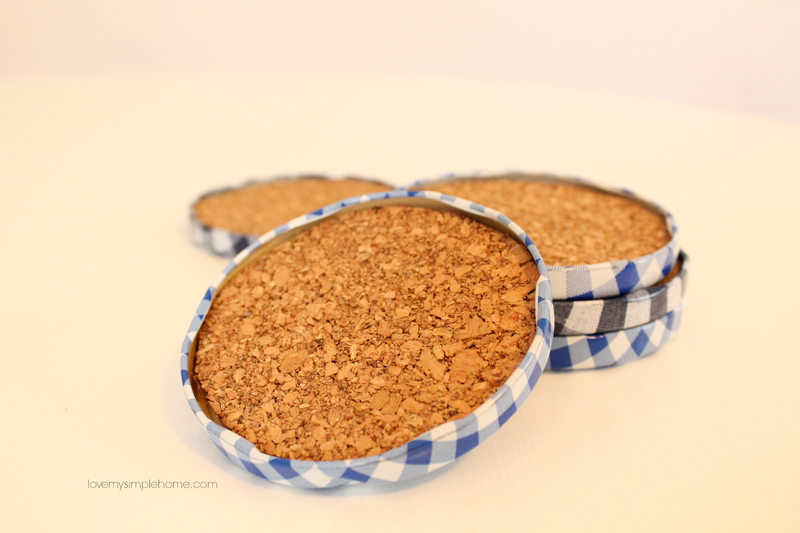 Place the cork inside the jar lid. It should fit snug under the lip of the lid. Repeat the steps for the rest of the lids. That's it! Don't you just love an easy tutorial?